Well, if only Cecil the lion knew what an “uproar” he has caused! It seems that Walter Palmer has also disappeared while this public outcry passes. However, the world might have woken up to the fact that our interconnected and alert social media devotees now carry far more punch than they have ever done before. But, one, single (OK, fairly large) specimen has suddenly captured the attention of the world. Walter Palmer is an American dentist and he has gone into hiding following the backlash over this hunt. He is also being investigated in America of criminal charges over the hunt. It would appear that his dental practice has been “decorated”, he has had threats on social media and now his home has been vandalised. Hunting is highly emotive, and most people are either FOR or AGAINST any type of killing of animals. The fact that much of the world consumes animal products, or that we go on safari to see wildlife doing what nature does – eat and be eaten – means we have to be tolerant of this diversity and we have to respect the “law of the jungle” and the “law of the land”, and be respectful the legal framework for ethical professional hunting. 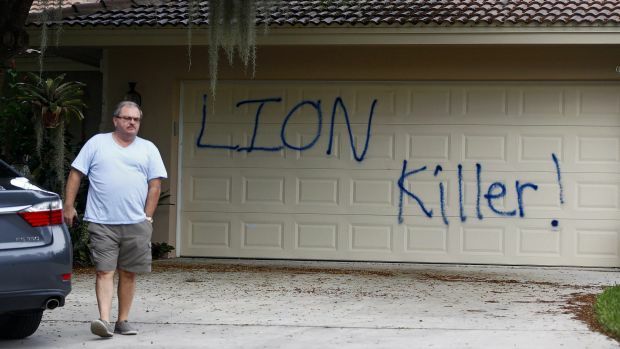 We have a huge social media outpouring around the demise of #cecilthelion. This has spurred into action some diverse reactions. For example there is now a growing list of airlines that are refusing to carry big game trophies. The latest list of airlines that have banned the transport of some hunting trophies includes: Air France, KLM, Iberia, IAG Cargo, Singapore Airlines, Qantas, Emirates, Lufthansa, British Airways and now Delta. In the latest updates to this tragic saga that is unfolding, we now have the U.N. Secretary General unanimously adopting it’s first-ever resolution that will attempt to combat the illegal trafficking of wildlife. It is as a result of the world-wide public outcry that the U.N. is adopting this resolution to attempt to fight all illegal aspects of this type of hunting. It may only be scratching at the surface, but it’s a good start. We happen to believe that there could be a place for game management and ethical hunting in the broader conservation strategies that need to be employed in order to fund and protect the future of African Game Reserves and National Parks. The tragedy is that this is a playing field that attracts big money, and with that comes the nemesis of all impoverished nations that have resources – the resources are exploited, corruption abounds and unfortunately the rich get richer and the poor get poorer – and the resource ends up not being managed very well at all! So, we only draw attention to this cause in order to highlight that much still needs to be done, and although Zimbabwe generally has a good reputation for ethical professional hunting and well trained and competent hunting guides, there are still far too many of those precious resources that are being depleted by corrupt and unethical activities.